Chris Ferguson got the nickname “Jesus” because of his long brown hair and beard. A quiet player at the table, Chris often plays in such a way that makes his mannerisms almost unreadable by his opponents. Behind the sunglasses and underneath the cowboy hat and long hair lies one of the toughest competitors in the game. Ferguson was born in Los Angeles, California in 1963. He started playing poker at the age of 10 and brought his game to the online felt as soon as it appeared on the IRC. 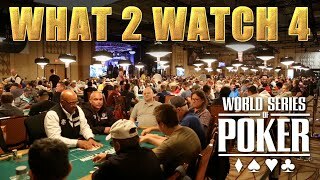 He started playing live tournaments in 1993, and in 2000 he won his first WSOP bracelet. 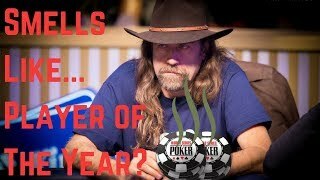 In fact he brought home two bracelets that year as he first took down the $2,500 7 Card Stud event and then ended up winning the 2000 WSOP Main Event for $1.5 million. He attended UCLA and earned a Ph.D. in computer science. After completing his schooling, Chris worked somewhat as a consultant while playing poker. A strong understanding of the mathematics of poker along with his knowledge of game theory allowed Chris to take a very analytical approach to the game and have much success in doing so. Having cashed in multiple World Series events before winning his first bracelet, Chris’ first piece of WSOP gold came when he won a Seven-Card Stud Event in 2000. After doing so, he cashed in a couple more events that same year before besting T.J. Cloutier to win the Main Event for $1.5 million. In total, Ferguson holds five WSOP bracelets. Although Ferguson has been a regular on the WPT circuit for many years, he has yet to win the title. His best attempt to collect WPT honors was the sixth place finish at the L.A. Poker Classic $9,900 Main Event in 2009. He has three more final tables to his record and a total of 11 WPT money finishes. Despite his success at the WSOP, WPT and other American poker circuits, Ferguson didn't do as good on the European soil. He has only one EPT cash to his name which he scored in 2009 at the EPT London Main Event. Ferguson finished the tournament in 37th place for £14,200. 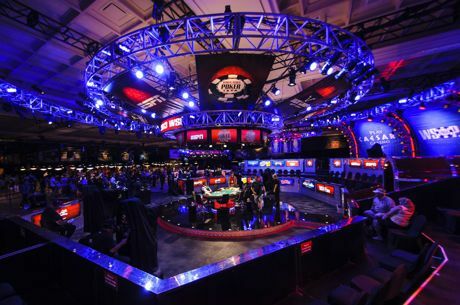 Another tournament that has been good to Chris is the National Heads-Up Poker Championship. In 2005, he finished second to winner Phil Hellmuth. One year later, Ferguson placed second again. This time is was to Ted Forrest. Two years after that, in 2008, Chris made it back to the finals and this time made sure to win his final match against Andy Bloch and take home the title. 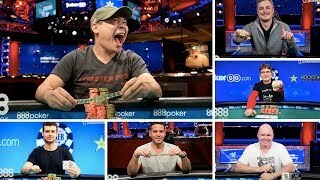 Chris has also found himself in the winners’ circle at WSOP Circuit events having won the Harrah’s Rincon WSOP-C event and the Harrah’s Las Vegas WSOP-C event both in 2005. In 2007, Chris also captured a Circuit ring for winning the Harvey’s Casino WSOP-C event. In 2004 Chris Ferguson along with a number of other poker players founded the Full Tilt Poker online poker site. Ferguson was the mastermind behind the site's online software which by many players was considered the best in the industry. Ferguson was also a director and a representative of the site as well as a member of Team Full Tilt. Ferguson turned $1 into more than $20,000 playing poker online in just over six months as a personal challenge. He is also known to have turned $0 into $10,000 playing on Full Tilt Poker. He has the skill of throwing playing cards fast enough to cut through fruit.